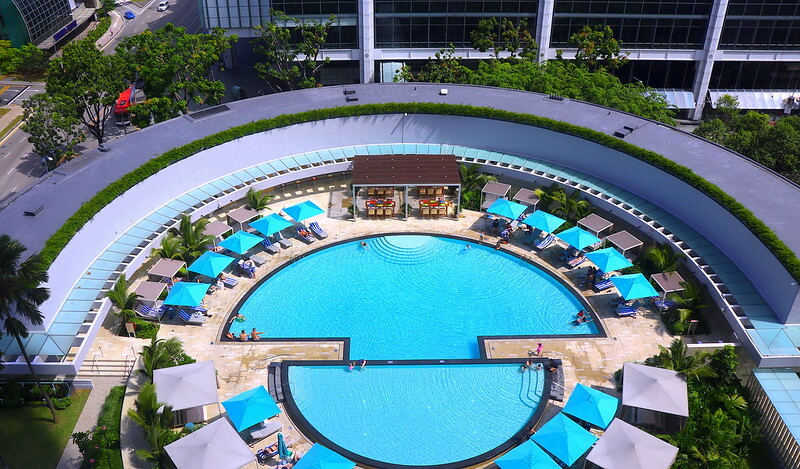 We recently stayed one night at the Pan Pacific Singapore, right in the heart of the Marina Square and Suntec City enclave. 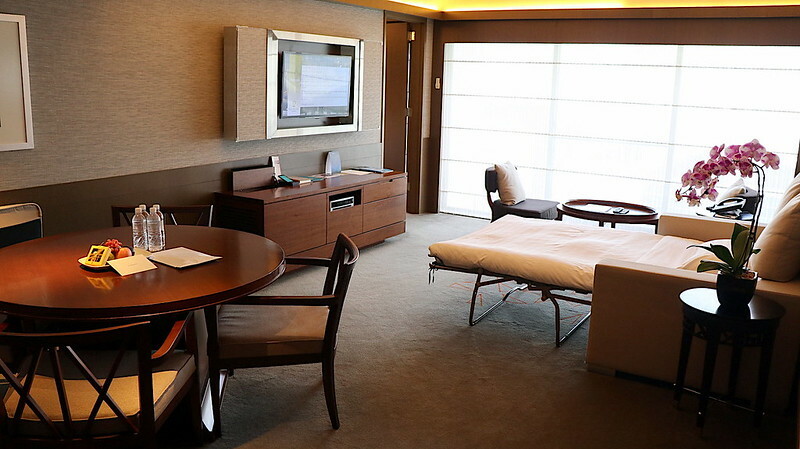 My kids loved the spacious City Suite, the food and the hotel facilities! Here's a short video tour of our experience. First up, Pan Pacific Singapore really went all out with the welcome treats - a whole treasure chest of goodies! The suite has a huge living area that could fit a family easily larger than ours. The living room sofa extends to become a big double bed, so the room easily sleeps four even without adding additional beds or cots. 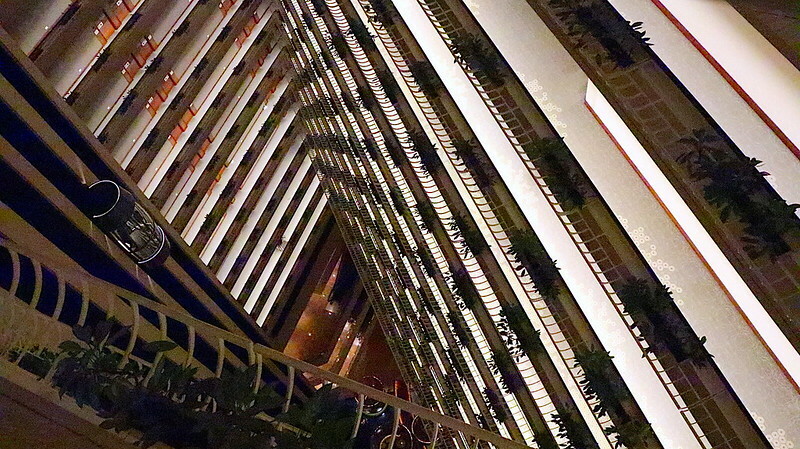 The hotel itself architecturally is interesting with dramatic angular constructs, walkways and balconies. You'll be finding symmetry in so many places. We had a sumptuous dim sum brunch buffet at Hai Tien Lo, the contemporary Cantonese restaurant located on level 3. 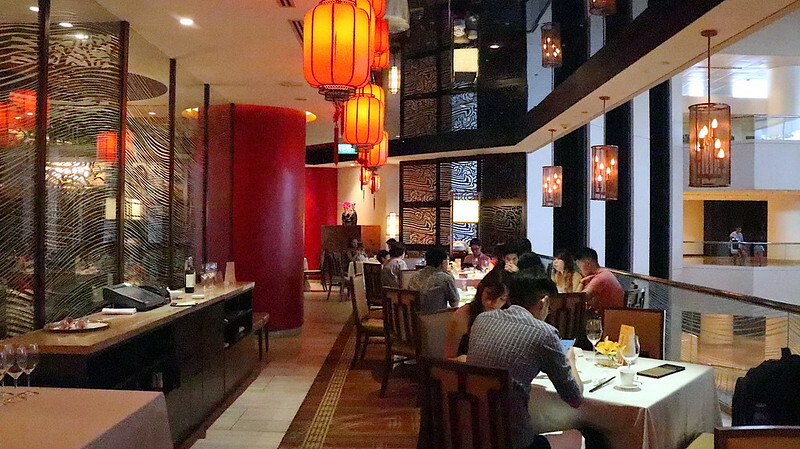 This restaurant is well-known and well-loved by foodies in the local community. More on Hai Tien Lo later in a separate post because #TooManyFoodPhotos! The highlight for my girls is always the pool. We spent a good many hours here. The pool area has been refreshed so it now has a wading pool for children and a larger pool for adults. I like the cabanas where you can just chill out in the shade. Some of these are ensconced in private corners, which makes them great for reading or relaxing, away from the crowd. The gym is also on the same floor. But my favourite place by far is the Pacific Club. To my astonishment, it takes up the entire 38th floor! The minute you step out of the elevator, you're in it! The entire floor has windows almost floor to ceiling, so you get breathtaking 360° views of the city. Click to see the full Instagram video, part of which is in the YouTube video too. This is where you can enjoy champagne breakfast, afternoon tea, evening canapes and cocktails. The food up here is also very decent. Service is exceptionally warm and the staff will address you by name. I say it's really worth springing for. Look for the Pacific Club rooms and suites as they offer Pacific Club Access. 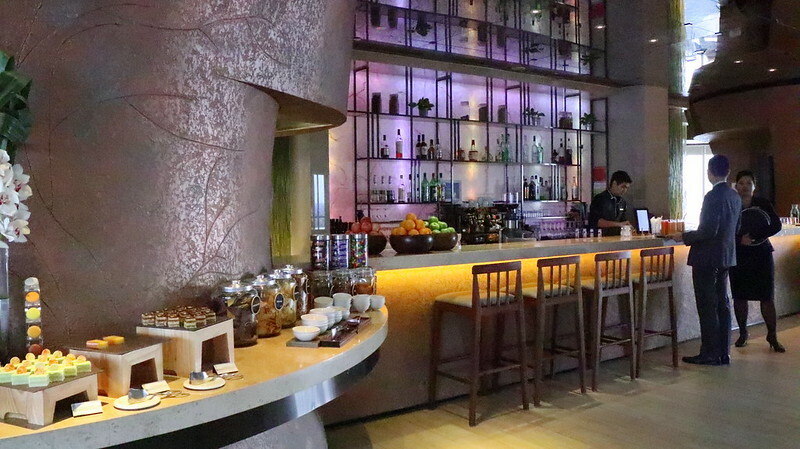 The buffet breakfast is served at Edge (level 3) and the variety is wide enough to please most tastebuds. 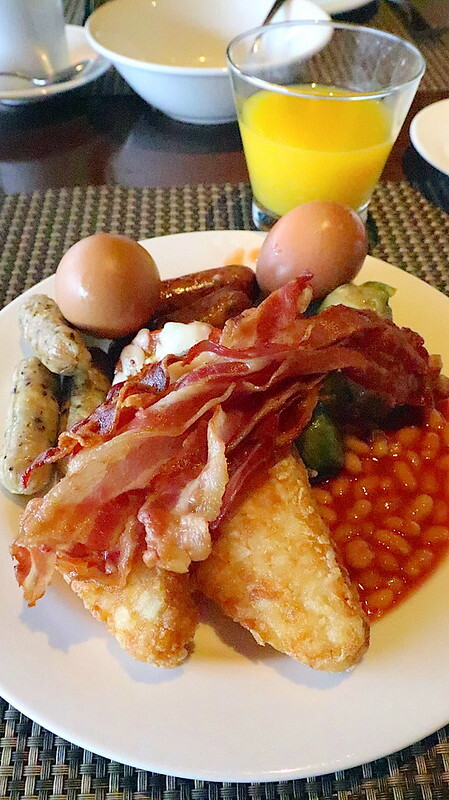 There are Western favourites (bacon, eggs, cereals, cheese, fruit, salad, yoghurt, pancakes) as well as Asian specialties like nasi lemak, noodles and Indian breakfasts. You have to drop by the waffle station too where they make them crispy and piping hot. In all, we had a lovely time even without stepping out of the hotel. If anything, the weekend went by too quickly. I wish we could have stayed another day! This package is available for bookings and stays until 31 December 2017. Remember to look out for the Pacific Club rooms! Many thanks to Pan Pacific Singapore for the invitation and hospitality.